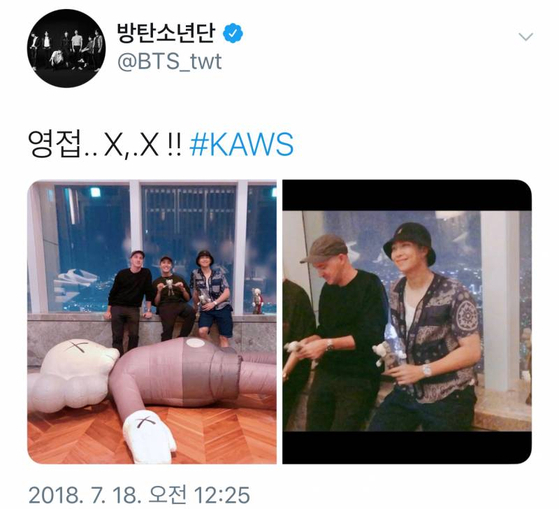 KAWS? 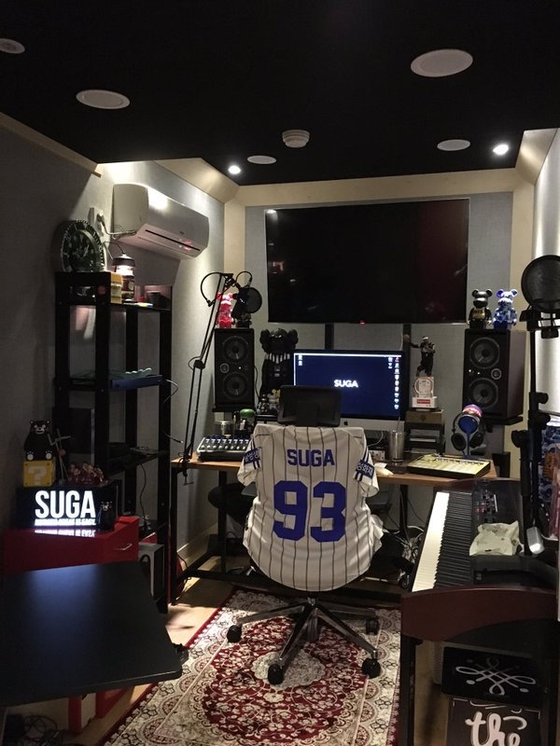 What Is It That Made BTS' Rapper Lines, The Enthusiastic "Fan-Boys"? 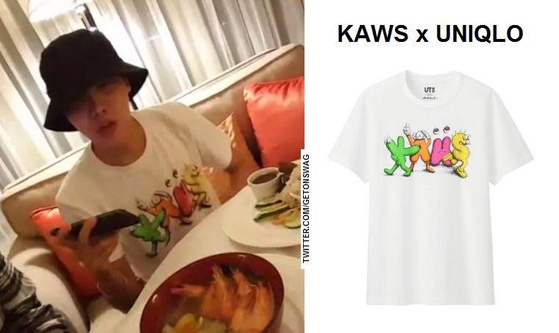 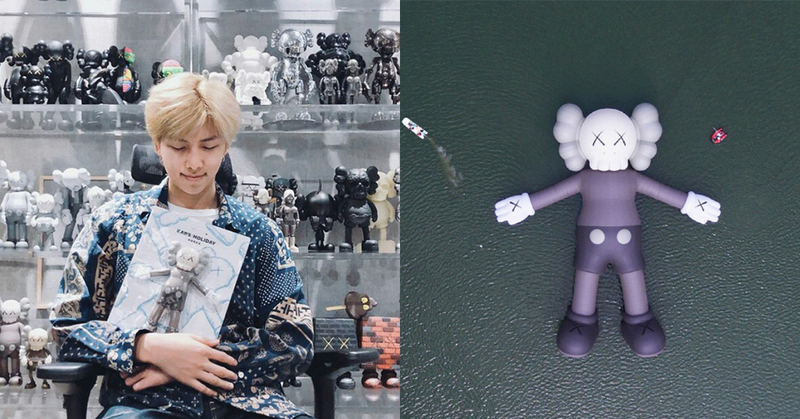 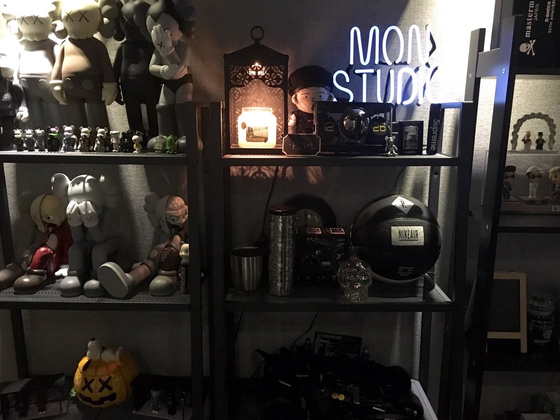 The rapper line of BTS: Suga, J-hope, and RM are the huge fans of KAWS to the extent of decorating their workroom full of model figures. 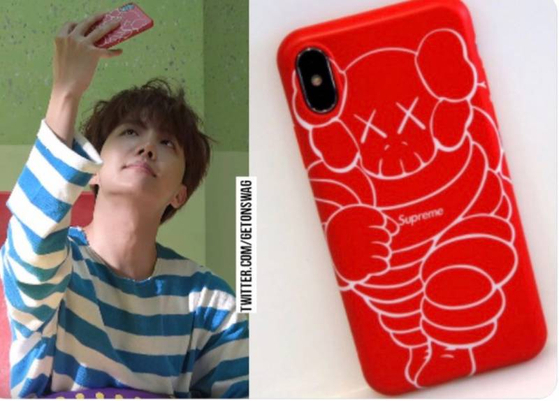 Their love toward KAWS doesn't end with the model figures but it reaches to dolls, clothes, and phone cases collaborated with the brand. 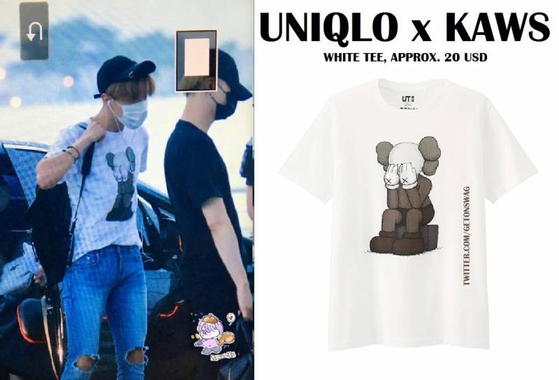 It's also been reportedly said that members are exchanging KAWS goods and fans are giving them as the presents. 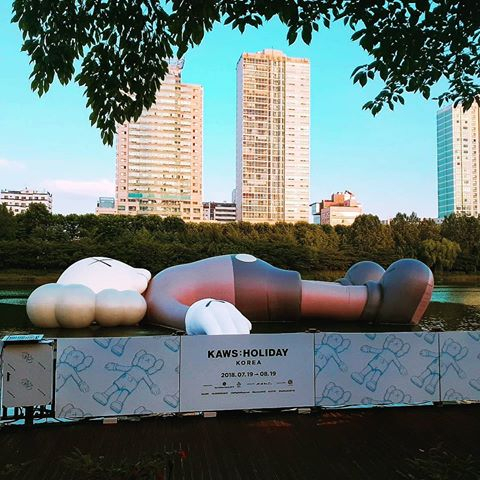 But then, KAWS announced that KAWS: Holiday brings the largest 'Companion' sculpture to Seoul. 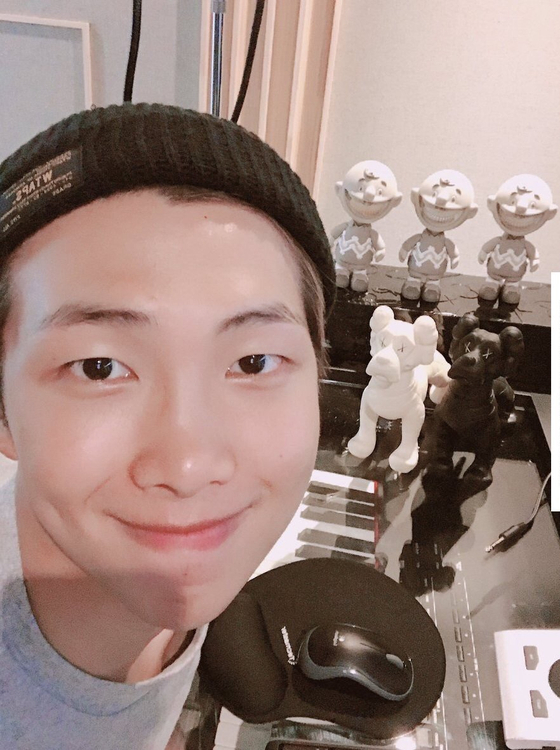 And RM who've encountered this news soon tweeted a welcoming post despite the fact that he was in the overseas. 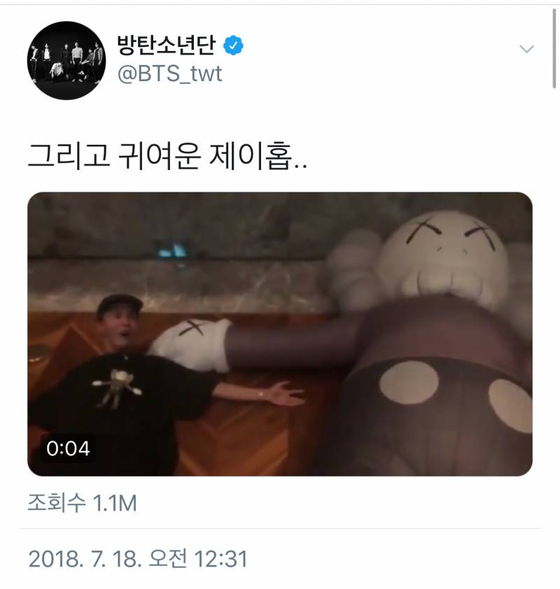 The official BTS Twitter account also made a new post with a caption "Met in person..X,.X!! 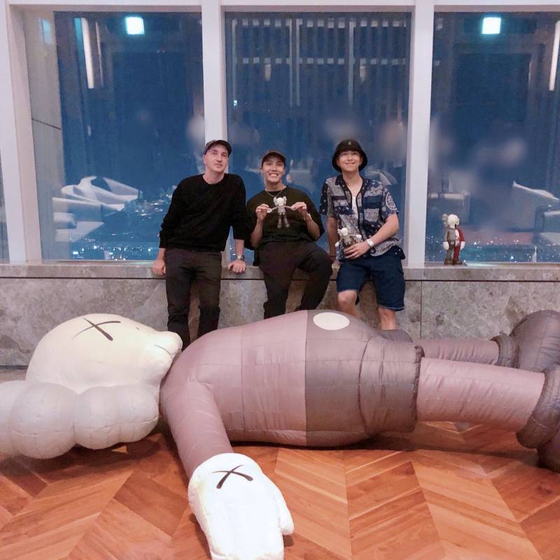 #KAWS". 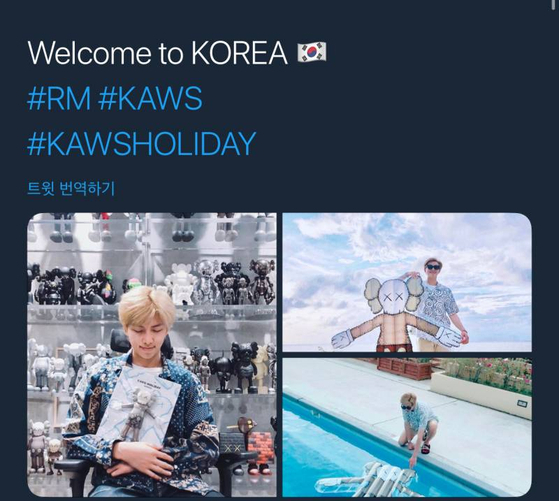 It seemed like J-Hope and RM got an opportunity of meeting KAWS separately who has visited Korea for the KAWS: HOLIDAY project. 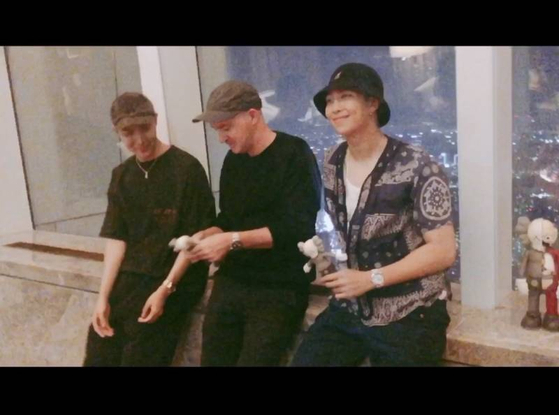 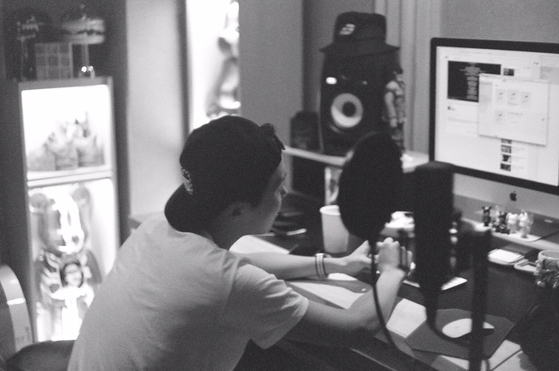 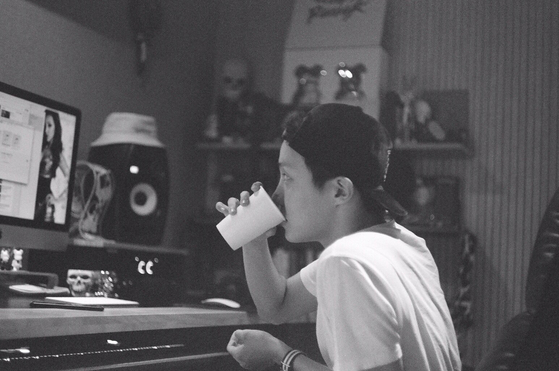 And the person right beside J-Hope and RM in the photograph is Brian Donnelly, the creator of his authentic COMPANION piece. 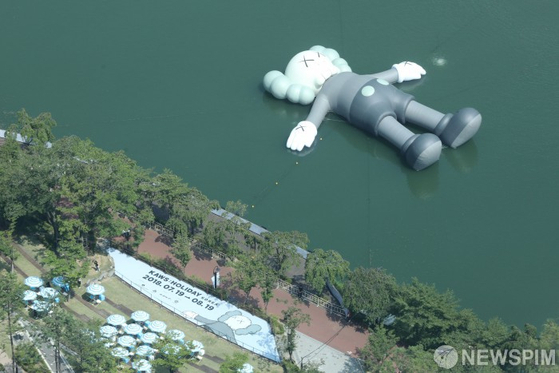 KAWS' giant will be floating on Seokchon lake from July 19 to August 19.